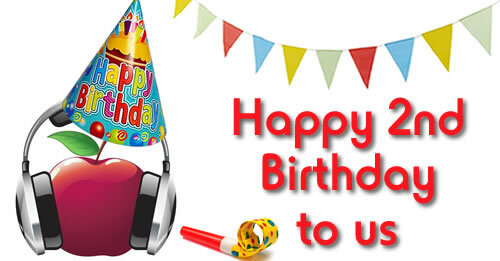 We are now officially two years old as Apple FM launched at 10am on 11th May 2013! The radio station itself is actually 44 years old – we were formally known as T.H.R and Apple AM before we launched on the FM band two years ago. To find out more about our history click HERE. To relive the moment we launched the station click HERE to watch. To mark our 2nd anniversary as Apple FM we have just launched our brand new App, to find out more and to download it click HERE. In addition we are also holding a competition to mark our birthday where you can win a meal for two at the Wine And Sausage restaurant in Taunton and four tickets to Wookey Hole are also up for grabs. You have until 4pm on Monday 11th May (TODAY!) to enter and the winners will be announced on our Birthday Drive-Time show between 4 and 6pm. Click HERE for more details. Many thanks for supporting your Community Radio Station over the past two years – we would be nothing without our many, fantastic listeners.